Lux channel I super star and Bangladeshi model Alvi now she is very busy with acting television drama. Bd model Alvi acting some television drama is running in different television channel. Alvi notable dramas are Madvhai, Jamay mela, Gulshan avenues, Ora ko jon etc. Now Alvi is fewer busy with modeling. She is study in BBA in a private university. She cannot present class regularly for acting. Alvi is busy 25 day out of 30 days. She tries to read something in acting gap time. 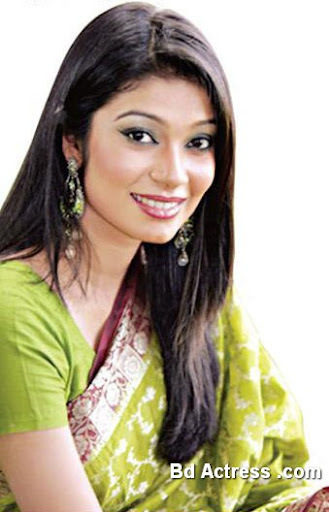 Bangladeshi actress Alvi wants to acting film regularly. Alvi wants to work if got good character story script. She said good story and good director get very difficult but if Alvi get it she will acting film regularly.